JOHANNESBURG, South-Africa, September 25, 2013/African Press Organization (APO)/ -- Fourteen young Maersk (http://www.maersk.com) employees will participate at the 4th annual 'One Young World' summit that is held in Johannesburg, South Africa, next week (http://www.oneyoungworld.com). The annual event held by the charity, One Young World, mixes political leaders like Kofi Annan and Sir Bob Geldof with aspiring members of the next generation of global leadership. “I see this as a once-in-a-lifetime opportunity to meet and network with young future leaders from all over the world. I especially look forward to discussing socio-political and economic aspects with participants from different countries – and hope to later use this inspiration to bring about positive change in my own country,” says Madjou who currently holds the role as Finance Controller with Maersk Line. “I hope to be able to draw on the experiences and insights of fellow delegates, ambassadors and guests as well as form networks that will enable me and the other participants to make a visible difference in our own societies,” says Kathrada who works with customer service in Durban for Safmarine. “The Maersk Group has been doing business in Africa for more than a century, and has operations in almost every country across the continent. We aim to reflect the communities in which we operate and attract talent from the broadest pool possible. We would like to build our diversity further,” says Diversity and Inclusion Manager, Deniz Kirdar True, from the Maersk Group. “We encourage our aspiring leaders to be curious about how things are done in other companies, industries and markets. As a Group, we can benefit by seeking out other perspectives and being open to challenging traditional approaches – and I believe that Young One World offers such an opportunity,” True says. One delegate Patricia Pretell from Lima, Peru, is a speaker in the One Young World plenary Global Business (scheduled for October 5th at 8:30). Pretell works out of Latin America with Damco, the logistics arm of the Maersk Group. The additional thirteen Maersk participants represent several different Maersk businesses and countries, including India, Brazil, South Africa, Guinea, Morocco, Philippines, China, Pakistan, Jordan and Nigeria. Distributed by the African Press Organization on behalf of the Maersk Group. For more information, please contact Press Coordinator Lebo Madiba, [email protected], mobile: +27823925339 or Senior Communications Partner in the Maersk Group: Christine Drud von Haffner, [email protected],: +4533631945. 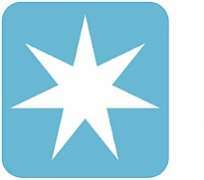 The Maersk Group (http://www.maersk.com) is a worldwide conglomerate that operates in the shipping and oil and gas industries. We are present in 130 countries, and employ roughly 121,000 people. Four of our companies – Maersk Line, APM Terminals, Maersk Oil and Maersk Drilling – are the main focus of our investments in strategic growth.